Current First Aid and Adult & Child CPR certifications continue to be required for all certified instructors. However, instructors in good standing no longer need to submit documentation of these certifications with their annual compliance and membership renewal. Instructor candidates pursuing certification and those seeking reinstatement must submit documentation of current First Aid and Adult & Child CPR before certification may be granted. In case you missed it, here is a brief video of Jacob McManus' dressage pattern at the 2015 Special Olympics World Games in Los Angeles this past weekend. Jacob has been riding at Bravehearts Therapeutic Riding and Education Center, a PATH Intl. Premier Accredited Center in Harvard, IL, for years. Jacob won the bronze in English Equitation and Silver in Dressage. Jeremiah Schedlock, a participant at Horses with H.E.A.R.T. in Chino Valley, AZ, took 3rd Place in Equestrian Dressage and 5th Place in Equestrian English Equitation at the Special Olympics World Games in Los Angeles. NDR Therapeutic Riding in Norco, CA, was chosen to host a training camp for the USA Special Olympians, who used the facility and its EAAT horses to prepare for the 2015 World Games competition at the LA Equestrian Center. What an honor! Congratulations to all those who participated at the World Games, and kudos to the instructors and volunteers who were dedicated to helping them get there! 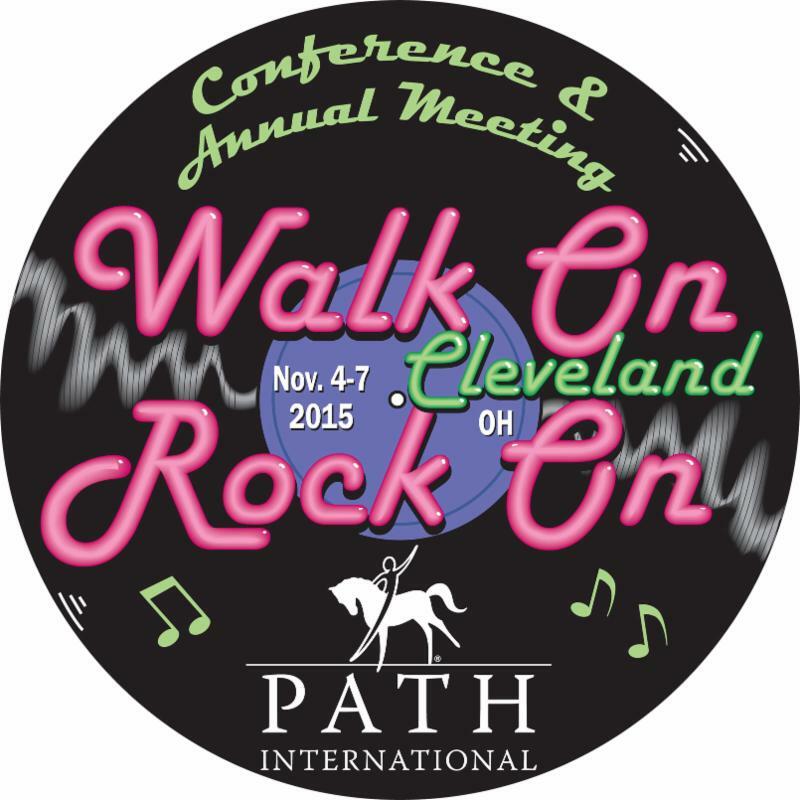 Click here to register and pick your sessions for the 2015 PATH Intl. Conference and Annual Meeting, November 4-7 in Cleveland, OH. We're holding a contest for the most original and fun videos our centers can offer. We have a few submissions already but there is always room for more! Show conference attendees the great time had by all at your center. The conference host committee will judge and select the top two or three to show at the awards banquet on Friday, November 6. Email videos to Cher Smith or email her for Dropbox instructions. For larger video files, mail a CD or flashdrive. Note: We need the actual video, not a YouTube or Vimeo link. Submissions must be sent by September 1 to allow time for judging. Please include a photo/video release form with submission. Do you have a product or service equine professionals would be interested in purchasing? Educational materials, books/videos, stable or horse equipment or business consulting services are all great possibilities for selling to the 800+ therapeutic horsemanship professionals we expect to see. 85% of 2014 conference survey respondents said they would be likely to contact one or more exhibitors. Exhibiting pays off! For more information, email Cher Smith or call her at (800) 369-7433, ext. 123. PATH Intl. is pleased to announce the release of updated Equine Specialist in Mental Health and Learning (ESMHL) certification and application booklets. We hope these updated booklets will greatly clarify the steps and requirements for completing the ESMHL certification. Please visit the ESMHL certification page to access the updated booklets. While the formatting of the paperwork for the ESMHL portfolio has been updated, no changes have been made to the paperwork requirements themselves. If you have already compiled your portfolio using the paperwork in the previous version of the ESMHL certification booklet, you may proceed with submitting your portfolio. If you are just beginning to compile your portfolio, please use the paperwork included in the new certification booklet for ease of processing. As part of continuing education core requirements, instructors should spend at least 6 hours each year focused on gaining in-depth knowledge about disabilities and how components of disabilities manifest in the lives and activities of individuals with disabilities, mental health disorders or emotional trauma. The intent of these hours is to expand knowledge and strengthen the instructor's ability to communicate with individuals with disabilities, thereby diversifying the tools PATH Intl. Certified Instructors possess to effectively serve a broader range of populations. I am looking to revamp our billing policies and was wanting some feedback on a few problems that we have come across. 1. Credits: How many centers give out credits for canceled lessons due to weather or other circumstances other than a rider canceling on their end? We currently offer up to 2 ground lessons a session if the weather is too hot/cold to ride and after that we issue a credit. 2. Billing hippotherapy: Do you bill the rider or the therapist provider? We do not have a therapist on staff but contract with an OT clinic.... we do provide the horses, facility, and if the therapist is not an Instructor we provide an instructor for the lesson. Currently, if the therapist cancels on their end then we issue a credit. I feel like we are giving out too many credits and I am wondering what other centers do to combat this problem.... after all, every credit we give out we have to raise from somewhere else. Read the responses and join the discussion! The Community Connections Corner will showcase a topic that is new or is generating a lot of discussion online. Join the conversation or create your own!